There comes a time when many of us decide to give our homes a makeover. The decor might be worn or dated. Our tastes may have changed over time. We might want to make a few changes to accommodate children or pets. And if we plan to sell our homes in the near future, we might want to give certain rooms a makeover to increase home value. 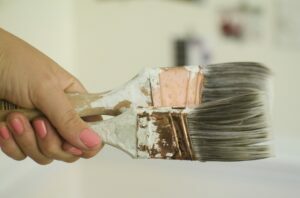 These are all excellent reasons to consider making a few changes, and for all we know, you might currently be arming yourself with a paintbrush and a nail gun ready to make some alterations yourselves. However, before you get to work, there are some important things you need to consider. #1: Do you need to hire the professionals? Okay, so you may be able to change your light bulbs. And your skills with a paintbrush may be out of this world. But if you don’t consider yourself a DIY pro, then there are some jobs you shouldn’t attempt alone. Especially when dealing with gas, electric, and plumbing systems, you might cause both yourself and your home an injury if you rely on your skills (or lack of) to tackle certain renovation jobs. Therefore, seriously consider hiring a local tradesman to do them for you. And even when it comes to carpeting and wallpapering, you might want to hire somebody else if you don’t really know what you’re doing. Carpet One installs carpets, so have a word with them if you’re planning on upgrading your flooring, and find a decent painter and decorator if you’re in any way lacking in this area. Considering our next point, you might only waste money if you don’t do your home makeover jobs properly. #2: What is your budget? Sure, you might want to create the home of your dreams, but if the cost is astronomical, then you might want to limit yourself to what you can realistically afford. You might want to limit yourself to one room at a time, for example, so even if you can’t give your home a complete makeover, you can still have the pleasure of one or two rooms with a fresh design. If you don’t budget properly, you might start work and then have to leave a room unfinished because you have run out of money. And as stated in our last point, this may be the result of a bodge job you have made yourself, especially if you need to start again on any aspect. By setting a budget, you can work out what you can afford to spend, with some wiggle room in case of any mistakes or unexpected costs. This will help you make wise decisions as to which areas of your home to renovate, and will give you cause to look for ways to save money on your makeover. #3: What are your practical needs? Think about why you are giving your home a makeover in the first place. Even when making changes to refresh your home’s look, you might want to take into account practical aspects of your life before starting work. If you have children, for example, you might want to look for ways to make your home child-friendly, such as adding easy-to-clean flooring or wallpaper. If you are considering selling your home in the future, you might want to avoid any decor that is too personal to your tastes, opting for something more neutral instead. You might only reduce your home’s value, otherwise. And think about such things as pets, houseguests, and your passions and hobbies. When making over your home, you might want to consider these and other factors when thinking about your practical needs at home. This entry was posted in Before Home Makeover and tagged Budget Properly, Child Friendly Home Makeover, DIY Home Makeover, Hire Professionals, Home Makeover, Home Makeover Budget, New Color, Practical Needs, Refresh Your Home, Renovations, Save Money.